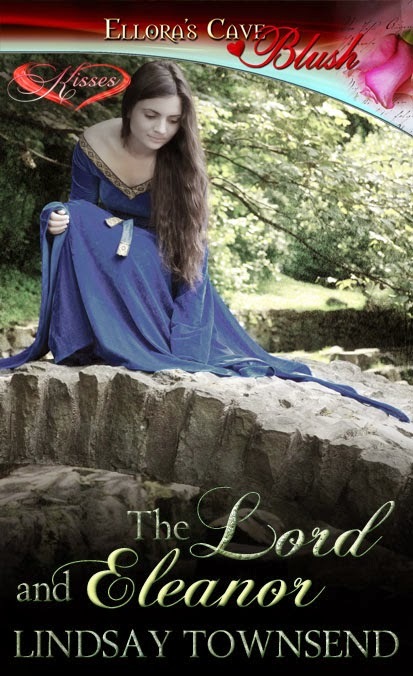 Her hands rubbed raw from clutching the rope, Eleanor steeled herself for the final effort of dragging the dead wolf to the great ash tree under which the lord of Wykeford held his manorial court. Panting and dizzy with effort as she often was these days, she heard the comments of the assembled villagers through a fog-like haze. Eleanor would not listen to the rest. Hauling on her rope, she staggered the last few steps into the shade of the mighty ash, fixing her eyes not on the tree but on the rough trestle table set up within the tree roots. It was the man seated at this table, the lord, whom she must convince of the justice of her cause. She waited, allowing the slain wolf to be her herald. When the circle of villagers grew quiet, she bowed her head, careful to show humility even when frustrated pride gnawed at her like hunger pangs. For the sake of the little ones, I must do this. The money will be so useful. “And how did you, a bondswoman, achieve this?” scoffed the pallid clerk sitting beside his lord, his bark of laughter echoed by the assembled villagers. “Land gained freely from the forest,” Eleanor countered, “where we hinder no one’s rights.” Her head was beginning to ache and not from the late-spring sunshine. For how long would the term “bond” be a collar around her and her family’s throats? From the corner of her eye, she saw the lord raise his hand. He wore a full-sleeved tunic dyed a rich dark blue, deeper than bluebells or cornflowers and edged in gold. Costly robes for a rich, powerful man. Her thought was confirmed as the clerk and the crowd at once fell silent. The lord, whom she knew as a decent, generous sort but had seen only as a distant figure on horseback before today, sounded amused. It would be easy for him, Eleanor thought fiercely, glowering at the tree roots. It was true he was a widower with children of his own to care for but he would never know true hunger, nor the threat of it. She braced herself for more questions—about rights and menfolk and her place within her faltering household—but did not expect what happened next. “Look at me,” the lord commanded. She was so startled that she did. Richard of Wykeford, sitting through a morning’s business of stolen dues, stolen crops, stolen rights, had been glad of the distraction of the Fletcher girl. He had known the family since Martin Fletcher, her father, argued to secure his freedom, and the Fletchers were a quarrelsome kindred. For all that, he admired their zeal and ambition and was sorry Martin had died this spring, struck in his fields by lightning. He had sent his reeve to the stricken family to pass on his condolences along with fuel, strewings, bedding, salted meat and fish but a week later Martin’s widow Agnes had also died. Eleanor, their eldest, was caring for a brood of three alone. As she raised her head and looked at him, Richard decided he must be sure of one more point. He would help the lass but how he did it would depend on whether she had a sweetheart or not. She must surely have a man, he thought. Even as she is, in an old, patched gown, her hair covered by an ugly hood, barefoot and half-starved, she is beautiful. He had not seen her this close before and he marveled how he had missed her. She was small and slender but her limbs were shapely and when she was not dragging a dead wolf, she would move with poise and grace. A tingle of desire, absent since his Joanna had died, began to sparkle through his long, rangy frame, making him feel more alive than he had for months. Her question reminded him that he had stared for too long. “You are the head of your household?” he demanded. Her bright gray eyes clouded with disappointment and he felt strangely ashamed, the more so when she nodded without speaking. Richard stared down at her unflinching eyes and knew she suspected part of his purpose. The clerk beside him began to scold again but he put a hand on the man’s scrawny wrist and shook his head. “So I pay you the ransom for the wolf,” he went on, a small, ignoble part of him rejoicing as a steady flush of color swept up her face and she nodded a second time. A passionate little wench too. He found himself wondering what color her hair was—her eyebrows and lashes were far lighter than her eyes—but then his daydream was shattered by another voice. The clerk hurriedly crossed himself and began to mutter the creed. Richard crossed his fingers beneath the trestle and thumped the table until the grumbles and shouts of the villagers bled out into whispers, echoed by the leaves of the ash tree. In that instant it came to Richard that this girl really needed him—and he needed her. They might save each other, he realized, but first he had to be sure of her knowledge. “What is the antidote to snakebite?” he asked. “Garlic or onion, either rubbed on the bite or eaten, and lovage,” she answered promptly. Around him the village women began to grumble. Eleanor and Lord Richard? Why her? Why such a favor? Her face went blank and she swayed a little. With a Norman curse, Richard leapt from his chair, kicked the trestle aside and caught her before she fell. This was not the response he expected. “Peace, Eleanor, I have you now,” he murmured, pity and desire melding together as he felt how light and thin she was. A stinging slap singed the side of his head, making his ears ring. “I am no man’s mistress!” she hissed, very far now from a faint. He liked the sound of that and was close to humming a tune as he walked. Eleanor chose not to struggle. He was as tall as a market cross and his arms were as strong as a blacksmith’s tongs so it was a waste of energy. She wet her lips with her tongue and opened her mouth. His voice was deep, curiously soothing, very gentle. His face, too, was open, not hidden in its expressions. He had strong, clean-shaven features and a long, almost hooked nose. A pair of piercing yet warm brown eyes watched her with a curious mix of desire—yes, she recognized the glint—but also with pity and sympathy. He was tanned from being out-of-doors, which she liked, and he was smiling at her, a gentle, not mocking grin. All this made her remember her childhood—days when her father tossed her up in his arms, caught her safely, tickled her and made her laugh. This man—yes, he was a lord but she was having difficulty in thinking of him as anything but a man. The way they were behaving now inspired in her a feeling of safety and care. She gave him a wary nod. Eleanor thought desperately of snow and ice but it was no use—the flush of heat flamed in her face and she knew she would be blushing. “Of myself, yes, for I govern myself. And shall I set your maiden’s heart at ease, my sweetly blushing Eleanor? We shall sleep together but yours will be the final choice, whether we join in love or not. Nothing to say?” he added wickedly as she was stunned into silence. Meanwhile her lord—man?—was striding down the rutted track, stalking with her past onlookers with a friendly greeting here and there, making for a very fine, grazing horse, a black-and-white piebald with a black mane and tail. “But not as servants,” she countered, blinking at this astonishing offer and lightheaded again with sheer relief. No more hunger for the children, no more want. “They may all play at kings and queens for me.” He greeted another villager, asking after the smith’s new baby, murmuring something Eleanor missed, then stalked a few more easy strides in silence. “Thank you for the meat,” Eleanor said a little gruffly, not wishing to appear ungrateful. He smiled, a light wind parting his collar-length hair—thick, curling brown hair, a mane of brown in need of combing. She wondered if she had a comb about her then scolded herself. You are not his mistress yet. And do you wish to be? They reached his horse and he lifted her lightly onto the saddle, where she clung to the pommel, thoroughly disconcerted. She did not know how to ride and on the big, black horse the ground seemed very far away. “Why?” she asked bluntly while a treacherous, womanly part of her considered how very bright yet warm his brown eyes were and how handsome his features, whether he smiled or not. They were now so close. She need only lean down to kiss his full lips, trace the deep scar on his right cheek that did not detract from his good looks but rather enhanced them, making him more vividly masculine. A warrior, she thought, enchanted, then realized he was speaking. By his stillness, by the way his gaze never faltered, by all of him, she knew he was deadly serious. Richard, lord of the manor, needed her aid.